At the close of Curzon’s viceroyalty in 1905 there stood against the British empire a Hindu nation, represented by the Hindu middle class, conscious and proud of its ancient heritage, whose members shared common problems. 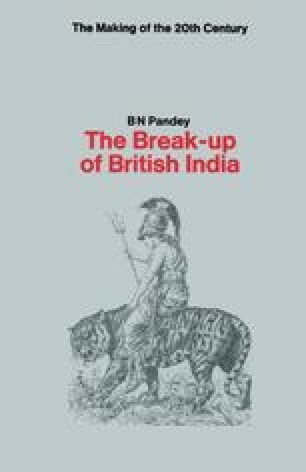 But the nation had been in the making ever since the establishment of the political unity of India under the British at the close of the eighteenth century. Three factors, which had operated simultaneously and separately throughout the nineteenth century, gave birth to a nation at the turn of the century. They were (a) the discovery of the civilisation and culture of ancient India, (b) the Hindu social and religious reform movements, and (c) the formation of political (or non-religious and non-social) groups and organisations. * The social reform movements were born in reaction to Christianity and they derived their confidence from the culture and civilisation of ancient India. The political organisations were born in reaction to the British Raj and they derived their confidence from the social reform movements. It would be an oversimplification to state that the one led to the other — that the discovery of ancient India led to the Hindu renaissance and the latter to the national movement.